Do you love to watch the wide variety of wildlife in your garden? Want to encourage the birds and the bees to stay a while and make their homes? With Garden Wildlife Direct discount codes you can get great deals on a fantastic selection of products designed to care for your local wildlife. From bird feeders and birdseed to hedgehog and squirrel food, a Garden Wildlife Direct discount code will save you money while you shop. Garden Wildlife Direct was established to provide shoppers with an easy and affordable one-stop shop where they could purchase everything they need to care for an encourage the wildlife in their garden. Recognising that our gardens are important outlets for interacting with nature whatever your age, they aim to help people everywhere develop varied and healthy habitats that welcome a wide variety of native animals. At Garden Wildlife Direct they stock a comprehensive selection of food, feeders and habitats designed to help you look after some of the nation's best-loved creatures, all at a price that won't put you out of pocket. They want to make it easy and affordable for everyone to encourage British wildlife to thrive, providing excellent education opportunities for young and old alike as well as contributing to the ecological conservation of the countryside. The Garden Wildlife Direct website is packed full of quality, affordable products developed with our beloved wildlife in mind. Looking for bird seed mixes to tempt the wild birds into your garden? Garden Wildlife Direct have a wide selection for you to choose from, including specially selected mixes without wheat to keep pests like pigeons away. Or perhaps you want an elegant feeder to form the centrepiece to your garden and provide a gathering place for birds? 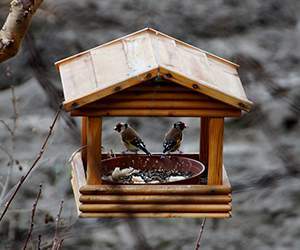 They've got wall-hanging feeders, free-standing feeders, feeding stations and much more. There's even a selection of garden accessories such as nesting boxes and repelling devices to protect from cats and squirrels – everything you need to ensure that the birds in your garden flourish. Want to encourage more wildlife? Garden Wildlife Direct also stock a range of products designed to help you care for a variety of native British animals from hedgehogs to butterflies and bees. And with excellent customer service and free delivery on all orders over £25, shopping with Garden Wildlife Direct is easy and totally hassle-free. Want to get started with Garden Wildlife Direct? With Garden Wildlife Direct discount codes you can enjoy great savings on their wide range of feeds, feeders, accessories and more. So whether you want to care for the wildlife already established in your garden or want to welcome some new residents in, a Garden Wildlife Direct voucher will help you save the pennies. 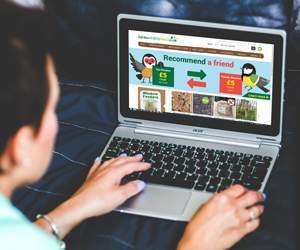 Browse our website until you find the Garden Wildlife Direct discount codes that suit you, then navigate to their website to begin shopping. Enter your Garden Wildlife Direct voucher in the box provided and click 'Apply coupon'. 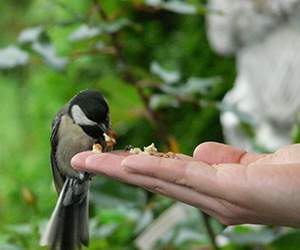 Want to find out more about caring for wildlife in your garden with Garden Wildlife Direct? Why not pay a visit to their dedicated YouTube channel here? You'll find lots of exclusive content including TV spots, wildlife hints and tips and more. You can also use this channel to find out more about saving money with a Garden Wildlife Direct discount code. If you've enjoyed shopping with Garden Wildlife Direct, you might also like to check out more great deals on animal-related products at stores like Monster Pet Supplies or Zooplus. Or, if those aren't right for you, you'll find plenty more deals to browse in our Pets and Accessories section. Enter your Garden Wildlife Direct discount codes in the box provided and click 'Apply coupon'. If you need to return a product for any reason to Garden Wildlife Direct, you can do so by simply returning your items in their original condition within 7 days of receipt. Need to speak to the team at Garden Wildlife Direct? Whether you have a question about your order, want some expert advice on the right products for your garden or just want to find out more about how you could make big savings with a Garden Wildlife Direct voucher, you can contact the Customer Services department by telephoning 01772 440242. Want to discover more from Garden Wildlife Direct? Why not follow them across your favourite social media networks for access to interesting content like competitions, special offers, wildlife care tips and more. You can also use these pages to find out more about saving money with a Garden Wildlife Direct discount code. Don’t forget to check them regularly, as you can never be sure when a free Garden Wildlife Direct voucher might be waiting for you! 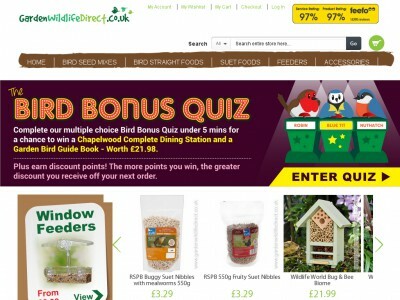 Buy now online at www.gardenwildlifedirect.co.uk. I love to watch the wild birds in the garden, and wanted to do something to encourage them to stay. Fortunately, I discovered some Garden Wildlife Direct discount codes online. With a Garden Wildlife Direct discount code you can enjoy fantastic savings on a wide range of products at gardenwildlifedirect.co.uk, all designed to help you care for the animals in your garden. I used my Garden Wildlife Direct voucher to get a great deal on some wild bird seed and a lovely feeder. So why not see what you could save with Garden Wildlife Direct discount codes?